This is probably one of the most spoken about topics with regards to weight training, especially amongst females. But what is “too heavy”? Firstly, just a quick note to all beginners. 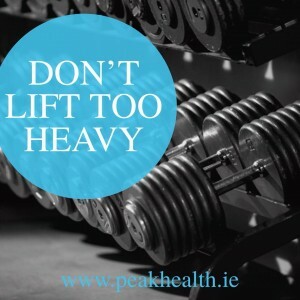 Weights don’t make you ‘bulky’…too many calories do! Now, back to this “too heavy” topic. 1. What you Intend to do with the weight defines the load. Are you just trying to move a load or place tension upon the muscle? These are 2 different games! 2. 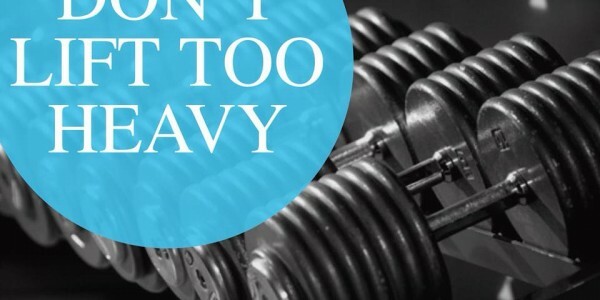 If the weight you select is causing poor technique or you are unable to control then yes, it’s too heavy. Drop your ego and reduce that weight! 3. If your goal is to reach 12 reps and you can only achieve 6-8 good reps then again, the weight is too heavy. Respect your goal and lift accordingly! You use the heaviest weight possible whilst maintaining correct technique once your purpose and goal remains the same throughout the session! Ps…thousands of calories for most people.